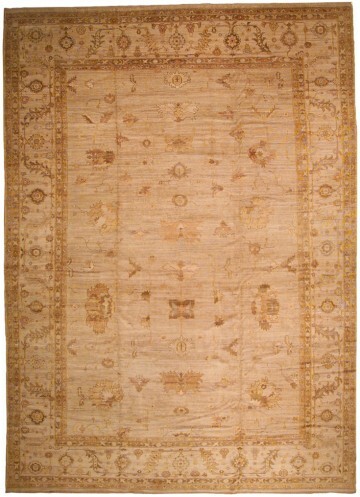 Handwoven Oushak (or Ushak) rugs enjoy a long and noteworthy history stretching from the early days of the Ottoman Empire to the present day. 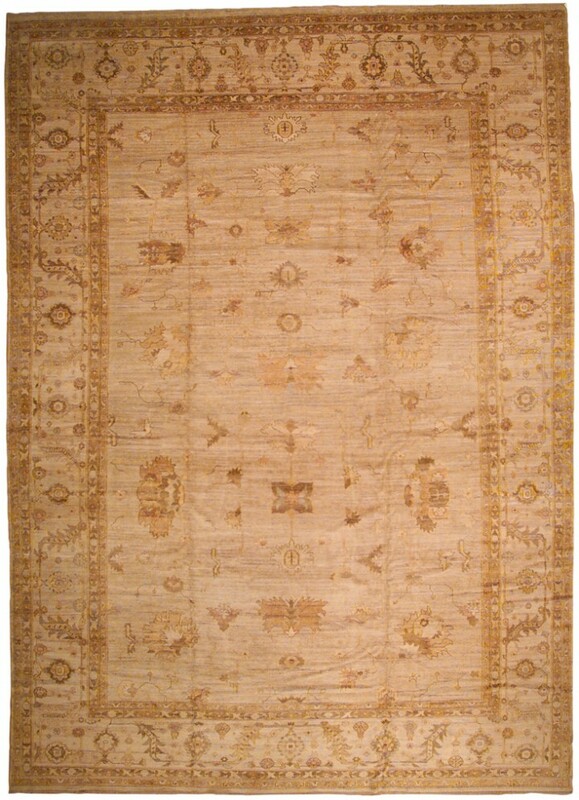 This particular Oushak’s large scale, stylized floral elements and decorative appeal reflect 19th century tastes and trends in Oriental rugs. Skillful formulation and use of natural vegetable dyes produces subtle gold, ivory, blue, olive and cinnamon colors. Long, silky handspun wool is a hallmark of Oushak that not only shows off color but has a luxurious feel underfoot.